BCHL leading scorer Alex Newhook leads the Grizzlies against the Capitals on Thursday night. It has been a busy last seven days for Alex Newhook, but the Victoria Grizzlies captain wouldn’t have it any other way. With the puck about to drop on the Grizzlies’ fourth game in the last seven days, Newhook has flown to Boston, toured the campus of Boston College, took in the Beanpot Tournament semifinal, watched the Patriots’ Super Bowl championship parade in person, and then flew back to Victoria where his Grizzlies will square off against the Cowichan Valley Capitals tonight at The Q Centre in an important B.C. Hockey League game for both teams. “It’s been a pretty awesome last few days, that’s for sure,” said the Grizzlies 18-year-old centre, whose visit to Boston College on Monday and Tuesday was his official allowed visit to the NCAA school he will attend next fall. Newhook was accompanied on the trip by teammates Riley Hughes and Jeremie Bucheler who were on their official visit to Northeastern, also in the Boston area, where they’re expected to play next fall. Northeastern edged Boston University in the other Beanpot semi so Monday’s championship game will take on a little extra something in the Grizzlies’ locker-room. “Oh, I’ll be watching it with Hughesy and Buch, so that’s going to be a lot of fun, especially if BC wins,” added Newhook. But for now, it’s back to business with the Grizzlies who hit the BCHL stretch run with eight regular season games left and just a two-point lead over Powell River in the race for the Island Division title. Tonight’s game is also a possible playoff preview if the Grizzlies (31-16-0-3) finish first in the division and the Caps (15-31-4-1) earn that fourth spot. “That’s always in the back of your mind so that’s why I think it’s important to make a bit of a statement and have a real strong game,” Newhook said. 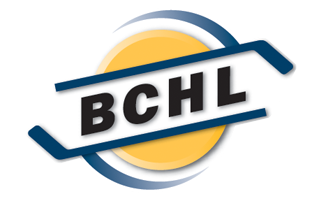 As the regular season winds down, Newhook’s focus may also turn to the top of the BCHL scoring race where his 81 points are currently nine more than second place Ryan Brushett of Powell River. “You try not to worry about that,” said Newhook, who is projected to go in the first round of this summer’s NHL draft in Vancouver. Following tonight’s game, the Grizzlies have Friday off before a pair of weekend games as the Wenatchee Wild come to The Q Centre on Saturday night and the Merritt Centennials visit Sunday afternoon.